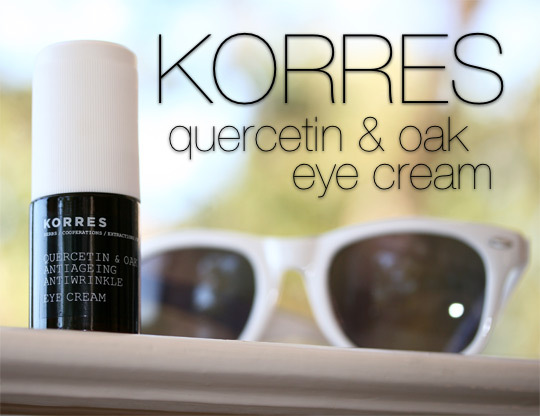 Korres has came out with their new Quercetin and Oak Line. Hmm wonder what it smells like.. oh well we'll see. The line is pretty well priced, I might check it out... I heard the eye cream works pretty well..an ultra-hydrating eye cream to combat wrinkles, increase skin elasticity and deflate puffy patches and the appearance of dark circles. It’s packed with antioxidant rich plant extracts like baobab, which supposedly maintains firm facial muscles to help keep the skin looking firm. I'm sure I'll be reviewing it very soon!